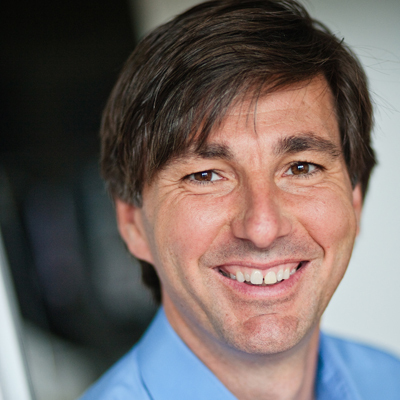 For over three decades Don Mattrick has been at the forefront of the digital games industry, first as an independent games developer, then as an executive in a series of large multi-national companies where he oversaw the development of new hardware and software that changed the games industry, and most recently as an investor and advisor in many facets of the digital entertainment field. His visionary role in building the interactive entertainment business in Canada makes him a Canadian Digital Media Pioneer. Don began his career in digital media at the age of 17 when he and Jeff Sember co-founded Distinctive Software, Inc. in Burnaby, British Columbia, after developing “Evolution”, their first game, in their parents’ basements. DSI was best known for developing racing and sports games for the Amiga, Apple II, Commodore 64, and PC DOS platforms. Recognizing the benefits of vertical integration of the development and publishing segments of the game industry, Don and Paul Lee arranged for DSI to be acquired by Electronic Arts in 1991. Some would say it was more a merger, or even a reverse takeover, than a straightforward acquisition. Don eventually became President of EA Worldwide Studios. Throughout his time with EA, Don championed the Canadian talent pool that he and Paul Lee tapped to establish the Burnaby Studio as one of the largest of EA’s development sites. Under Don’s leadership the Canadian-based Need for Speed franchise became the most popular racing game series ever after its initial development by Black Box Games, a spinoff from Radical Entertainment that itself had been created by former DSI employees who had launched their careers with Don’s first company. Need for Speed was a cornerstone product in EA’s global portfolio and it helped cement the reputation of Canada as a serious player in the game industry. Don also helped develop and scale EA’s portfolio to include The Sims and the blockbuster, FIFA, NBA Live, and NHL franchises for EA Sports, in addition to Need for Speed, which made the EA Burnaby studio a powerhouse in the games industry. In 2007, Don joined the Entertainment and Devices Division of Microsoft as a senior executive with responsibility for Xbox 360 and PC gaming. He led XBox’s development of the Kinect “controller-free gaming and entertainment experience” that was launched by Microsoft as part of the Xbox 360 product line in 2010. Kinect became the most successful consumer electronics device of all time to that point. With sales of more than eight million units in its first two months on the market, it was reported to be a new Guinness World Record. Time Magazine wrote in an early review of the product “Using Microsoft’s new Kinect gaming sensor is better than being a Jedi” and called it “miming on steroids.” As President of the Interactive Entertainment Business for Microsoft Don reported directly to the CEO. Don’s contributions are not just on the industry side of digital media. He played a key role in the creation of the E-GEMS (Electronic Games for Education in Math and Science) project at the University of British Columbia by providing several years of funding and in-kind support from Electronic Arts as part of an NSERC Collaborative R&D grant that was an industry-university partnership. From 1992 to 2002, E-GEMS brought together an interdisciplinary group of computer science and education researchers, school teachers, and game developers who collaborated on educational software that used computer game-like activities to increase student interest and motivation. E-GEMS investigated curriculum, behaviour, interfaces, and psychological issues involved in the design and use of computer games for mathematics education. It also examined the strategies and materials needed to integrate these games with other forms of classroom learning. E-GEMS played a leadership role in identifying gender differences in how students interact with computers and software, and the consequences of these differences on learning outcomes. Don’s encouragement and support for E-GEMS was a critical factor for its success. Throughout his career, Don Mattrick has been a successful entrepreneur and a proud Canadian who has played a key role in creating many opportunities for other Canadians to succeed in the global digital entertainment industry. He is a true Canadian Digital Media Pioneer. Born in Vancouver, British Columbia, Don started his first company when he was still in high school. After graduating from Burnaby North Secondary School, he attended Simon Fraser University where he studied business and managerial economics while continuing to run Distinctive Software. He subsequently served in a variety of executive positions for Electronic Arts, Microsoft, and the San Francisco-based social game services company Zynga. After two years as CEO of Zynga he left the corporate sector to focus on investment management for the high-tech venture capital world. He currently serves as special advisor to Beehive Holdings, a Vancouver-based angel fund focused primarily in seed-to Series-A investing with a sweet spot to support diversified teams.